The French prosecutor's office opened an investigation today to determine if fake news is shaping Sunday's presidential vote, following a legal complaint from frontrunner Emmanuel Macron, per the AP. 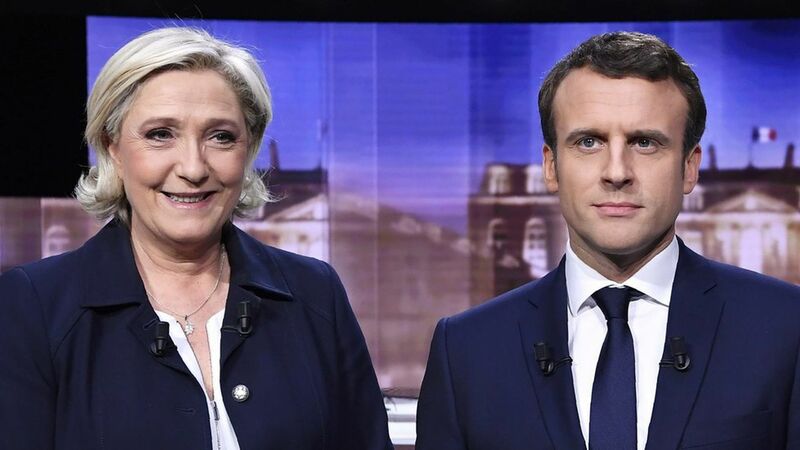 The background: During last night's debate, Marine Le Pen accused Macron of maintaining an offshore bank account in the Bahamas — a popular unsubstantiated claim on right-wing social media. His immediate response: "This is slander." And he blasted the claims as "false information and lies" that might be "linked to Russian interests" during an interview with French radio station Inter today. Sounds familiar: It's not too different from the forces at play against Hillary Clinton in last year's president election. The claims are an attempt to paint Macron, a former investment banker, as elitist, wealthy, and out-of-touch with normal French citizens.